Your search for the right company to handle catering in Spokane, WA, begins and ends with us. Charley's Catering Company offers full-service catering at any location. In addition to providing delicious and memorable food, we help you plan, stage, and coordinate all aspects of your event. We provide box lunches for business meetings or seminars, luncheon and dinner buffets, barbecues, themed parties, and other "Incredible Edibles" for all occasions. Charley's specializes in high-quality, affordable food served buffet-style with professionally decorated tables to match the style or theme of your event. Shirley Williams, owner and catering director of our company is a four-time alumnus of Catersource Conferences. Catersource is a continuing education resource for caterers in the United States that offers cutting-edge seminars and annual conferences to educate and teach professionals in the catering world new and fresh ideas to make our clients’ events more memorable. Reach out to our friendly staff to discuss your event. Charley's Catering Company is fully insured and licensed by the State of Washington to provide hosted or unhosted Beverage Catering. During pleasant weather, the most memorable and successful events are held outdoors, and it’s important to have delicious food that matches the setting. Our company specializes in outdoor event catering for every type of event possible. 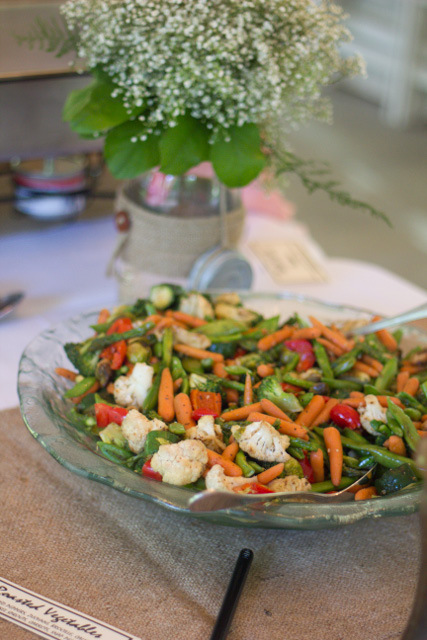 Whether you’re holding your wedding outdoors, throwing a BBQ party for a family reunion, or having a company picnic in a park, our professional caterers are ready to make sure you and your guests can enjoy some of the most delicious food possible. For indoor events, we provide a full-service catering experience for any style or setting imaginable. From theme party food to elegant wedding buffets, we make sure to provide excellent food and décor suited to your budget and style. Our professional staff handles all the work involved in setting up, serving, and cleaning up, allowing you to be a guest at your own event. We handle all the linens and china and help you throw an event that your guests will remember for many years to come. Whether you need theme party food or you have dietary preferences, our menus are sure to cater to your needs. We offer a wide array of chicken, tofu, beef, sausage, vegetarian, and gluten-free entrees, as well as a vast selection of desserts, sides, salads, and appetizers. Get in touch with our friendly and knowledgeable experts to put together the perfect menu for your wedding, corporate event, or themed party. Contact us to discuss your event needs and schedule catering service. 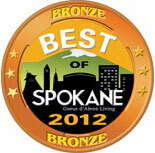 We proudly serve clients in Spokane, Washington, and the surrounding areas.